South by Southwest Interactive is one of the world’s great breeding grounds for ideas and inspiration around emerging technologies. 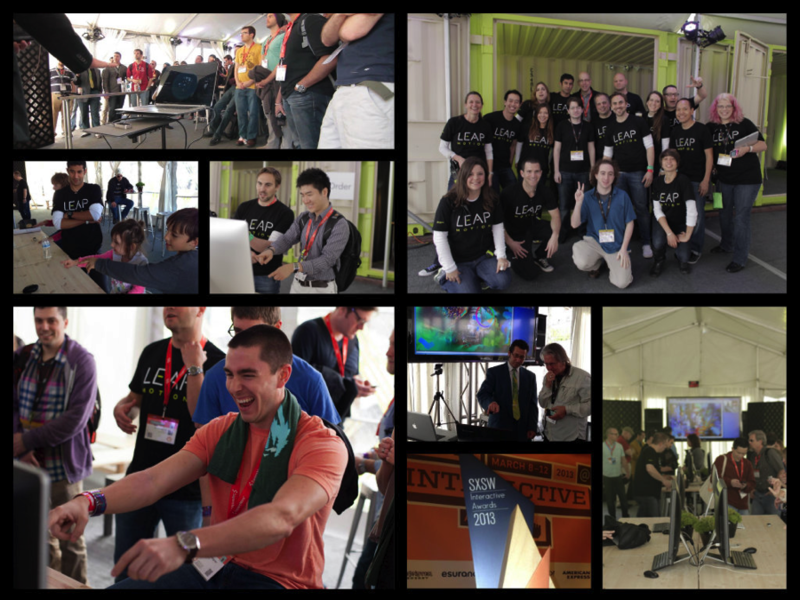 Last week, we had more than 5,000 people visit the Leap Motion Experience at SXSW in Austin, TX. There were more than 200 news articles and thousands of social media posts – reaching hundreds of millions of people around the world. SXSW generated tremendous buzz for Leap Motion and for the developer partners that had the opportunity to showcase their apps. It also brought people from all walks of life – techies, children, and even police officers – into the future of NUI. It was an amazing experience for all involved. Here are some of our favorite highlights from SXSW. You can see more photos in our albums on Facebook. One of the key highlights of the weekend was on Saturday, when co-founders Michael Buckwald and David Holz took the main stage – in a featured session scheduled between Tim Berners-Lee and Elon Musk – to talk about the disappearing interface. You can check out a live-blog of their talk here. The excitement surrounding the talk and the Leap Motion Experience culminated in Leap Motion being named the 2013 Breakout Digital Trend at SXSW – an honor previously given to Pinterest and GroupMe. It’s an honor that we don’t take lightly. It represents a promise to Leap Motion developers: to help you change the world with your apps. We know you’re hard at work making awesome applications and use cases for the Leap Motion Controller – and we look forward to seeing your Airspace submissions soon. If you have any questions about getting involved in our marketing efforts around our May launch, please get in touch with us.